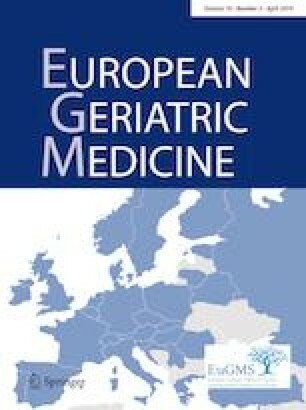 To develop a comprehensive open-source measurement guide of the most prevalent chronic conditions among persons aged 65+ based on registry data of both diagnoses and prescribed drugs [“The Chronic Condition Measurement Guide (CCMG)]. Based on the Danish population aged 65 years and older we developed the CCMG identifying 83 different chronic conditions based on registry data of both diagnoses and prescribed drugs. By applying the CCMG to a large national cohort of all Danish citizens aged 65 or above, we found that the prevalence of multimorbidity ranged from 10 to 69% using different years of history and in- or excluding information about drug prescribing. The CCMG is easily implemented using registry data and we recommend using 10 years of history and drug prescribing information. The aim of the study was to develop a comprehensive open-source measurement guide of the most prevalent chronic conditions among persons aged 65+ based on registry data of both diagnoses and prescribed drugs [the chronic condition measurement guide (CCMG)]. Furthermore, to investigate proof of concept of the measurement guide, different years of history and in- and excluding data on prescribed drugs. Finally, to investigate the measurement guide with other measurement guides designed to identify chronic conditions in persons aged 65+. The measurement guide was based on the 200 most prevalent chronic ICD10 codes in the Danish population 65+ years in 2015; the 200 most prevalent chronic ICD10 codes and causes of death in a cohort of 209,337 people who died of non-traumatic causes (January 2011–January 2016). Prescribed drugs were included in the measurement guide based on a literature review and specialist opinions. We identified 83 different chronic conditions based on 1241 unique ICD-10 codes. Multimorbidity prevalence ranged from 10% (1-year history, excluding prescribing information) to 69% (15-year history, including prescribing information). We identified 95% of the persons with multimorbidity using the 29 most prevalent chronic conditions. Inclusion of these 29 conditions affected the prevalence of multimorbidity and 1-year mortality when the CCMG was compared with other measurement guides. The CCMG is easily implemented using registry data. When implementing the measurement guide 10 years of history and drug prescribing information should be used. Using the CCMG to study multimorbidity, we recommend using at least the 29 most prevalent chronic conditions. The online version of this article ( https://doi.org/10.1007/s41999-019-00188-y) contains supplementary material, which is available to authorized users. The Authors like to thank Henrik Hedegaard Klausen MD, PhD, Beata Malmqvist MD, PhD, Ejvind Frausing MD, Ane Kathrine Skielbo MD, PhD, Thomas Huneck Haupt MD, PhD for validating the drugs used in the Chronic Condition Measurement Guide. This study has been approved by The Data Protection Agency (Project no. 704775 at Statistics Denmark). No approval from The Danish Research Ethics Committees for The Capital Region was needed since only national registry data have been used. As this is a registry study based on national registers no informed consent exists.